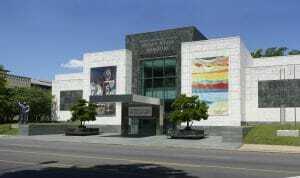 The Birmingham Museum of Art is one of the most culturally and historically diverse places you can visit while in town, not to mention that is one of the most budget-friendly (FREE). This popular local establishment holds what is considered to be one of the absolute finest collections of art in the southeast, with over 24,000 objects inside that highlight some of the richest cultures and most beautiful art in the world. With a visit to this museum, you can explore Asian, European, American, African, Pre-Columbian, and even Native American history and culture, with various artifacts and art representing each culture within the museum walls. This entire museum gives frequent student tours, a great way to let students be more analytic and creative, not to mention the additional teacher resources and Alabama core standards provided with tours and visits such as these. Younger children will also enjoy great discovery opportunities here, Bart the Art Bat museum mascot helping them explore, create, and share the whole way through. Some of the most notable pieces within the walls of the Birmingham Museum of Art span from Vietnamese Ceramics to 18th century European Decorative Arts. This spot actually holds what many professionals across the world consider to be the most comprehensive and finest overall collection of Asian Art, and the collection of Renaissance and Baroque art here will impress anyone, art-oriented or not. Groups of smaller children typically spend ½ hour to 1 hour visiting here, while older students can spend all of 2 hours easily. Be sure to factor in enough time for a visit to the onsite Museum store, the home of the ‘best shopping in Birmingham’. Find jewelry, art, books, toys, and overall some of the best educational resources and souvenirs in town. If you are here during lunch and you need some brain food head to Oscar’s at the museum, an 11am-2pm eatery serving great brunch-like specials.